Ex-CIA Officer's Case Shows How to Get Things Done in D.C. 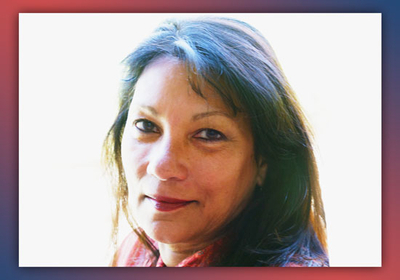 The case of former CIA agent Sabrina DeSousa serves as a perfect case study. In early January, DeSousa faced imminent deportation from Portugal where she lives to Italy where she faced a four-year prison sentence. Italy convicted her in absentia in 2009 for her alleged involvement in the February 2003 rendition of al-Qaida cleric Abu Omar – an event she said she had nothing to do with. DeSousa spent more than eight years and countless dollars and Euros in legal fees trying to clear her name. Her country had left her behind. The CIA and State Department did not assist her when she was charged or during her trial. On her own, she was left to fend for herself against charges brought against her for things the U.S. government asked her to do. She was in the wrong place, at the wrong time. Nothing got done because the Obama administration did not consider it a priority. Her back was up against the wall. She seriously believed she was headed to prison. DeSousa thought she was out of options. She decided to use the power of Twitter to contact Investigative Project on Terrorism Senior Analyst John Rossomando unsolicited. He sensed her desperation and the wrong that was being committed. Rossomando and the IPT understand terrorism and the risks our case officers face to keep America safe. You don't leave them behind. Coincidentally, Hoekstra had a meeting planned with former Trump National Security Adviser Michael Flynn the afternoon DeSousa first contacted Rossomando. Hoekstra addressed the issue with Flynn at their meeting. Flynn expressed concern and understood the urgency. This got the ball rolling. Rossomando wrote an article about DeSousa's case for the IPT's website. Hoekstra worked his connections to get positive press coverage, culminating in DeSousa's Jan. 16 appearance on Tucker Carlson's Fox News show. Appearing on Carlson's show also gave her breathing room. She had been scheduled for deportation from Portugal to Italy on Jan. 17. But to her relief, Portuguese police didn't knock on her door that day as she had feared. Trump's inauguration dramatically changed the dynamic. Former Republican Congressman Mike Pompeo's accession as CIA director, replacing John Brennan whom DeSousa believes was a "vindictive" antagonist in her case, marked a tipping point in her favor. DeSousa believes Brennan excluded her from a 2014 pardon agreement that let other Americans involved in the Abu Omar affair. Portuguese sources indicated that Brennan had twice visited Portugal in 2016 and never brought up her case. Brennan also did nothing to push back against the European arrest warrant against her. This impeded her ability to see her family; DeSousa said the CIA knew this. It also didn't hurt that Hoekstra had a previous relationship with Pompeo and had worked with him on Libya and Benghazi. On Feb. 20, the knock on the door that DeSousa feared came. Police took her to a prison in northern Portugal where she thought she awaited imminent deportation to serve her four-year sentence in an Italian prison. The U.S. Embassy and DeSousa's husband kept her updated throughout her nine days in the Portuguese prison. Team Trump worked with their Portuguese and Italian counterparts to secure DeSousa's freedom – a stark contrast with the Obama administration. Italian President Sergio Mattarella granted her a partial pardon on Feb. 28. Portuguese authorities released DeSousa from prison on March 1. This partial pardon led to DeSousa's released from a Portuguese jail where she was held while awaiting extradition. It reduced DeSousa's sentence from four years to three years, without the need for her to serve prison time. However, work still remains. DeSousa's conviction in absentia likely will remain on her record. She may still need to serve some sentence – either by house arrest or through community service in Portugal. DeSousa might accept the latter, but her reasonable demand is that her conviction be annulled and that she be reimbursed for her financial expenditures during the last 11 years. "I should not have had to spend even a day in prison for ill-conceived decisions by senior agency CIA officers for which I had no input to stop the rendition," DeSousa said. But one thing is certain; a weight has been lifted in DeSousa's life now that the threat of extradition and prison has been removed. The Trump administration appears to have not forgotten about DeSousa, and neither will the IPT. While there may be differences on how to most effectively fight terrorism, hopefully all of those involved in the fight will agree with the IPT, that those who fight on the front lines shouldn't be the pawns in geopolitical arguments. We share this story with you because so often the IPT cannot share its successes with you publicly. This is one story we can share publicly how the IPT helped someone who thought she had no options left. Our work is not yet completed. DeSousa faces additional challenges and IPT will be there with her.